This approx 43 acre property has mixed use residential, ranchland and is fully fenced with 2 nice ponds. The 3 bedrooms, 2 bathrooms, approx 1400 Sq. Ft. house had new windows put in 2010, new roof, siding and carpet in 2016. The home has that country home feeling with a sun porch and a utility room that also is sellers canning room. There is a sink and stove in this room with lots of shelving. This home heats with a propane heater and cools with 4 air conditioners. There are 2 large Pecan Trees in the yard. Many deer stands and some feeders throughout the property for the whitetail deer and turkey. This property has beautiful pasture and some woods. 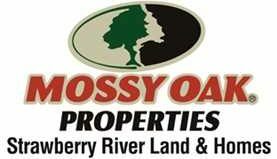 This property is in Sidney, AR 72577, Izard County. Give me a call to view this property at 870-897-0700.